When your water heater breaks, it can ruin your morning in a variety of ways. If your unit is not producing enough or any hot water, give us a call before you suffer through another cold shower. When our service technicians arrive at your house, they will start troubleshooting the issue with the water heater. They will determine if it can be repaired or if it needs to be replaced. Fortunately for Philadelphia residents, we get your morning routine back on track and offer same day hot water heater replacement, even for homes with tankless water heaters. 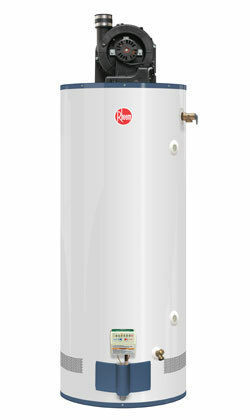 Our water heater installation takes between two to four hours depending on the location and size of the unit. We also provide 24/7 emergency service to the Greater Philadelphia area to help you when the water heater needs to be replaced in the middle of the night. Also, you don't have to wait for your water heater to break to consider replacing it. By installing a newer unit, you will not only notice that the hot water lasts longer, but you will also find that you have reduced your water heating bills. If you switch to a high-efficiency model, you can expect to save up to 7% every month. Homeowners in the Philadelphia area that switch to a tankless unit can save as much as 30% on their bills. To get the most out of your unit, you can call us to perform regular maintenance. Our master plumbers will flush out the system to remove any sediment, which will increase its efficiency and lifespan. We will also check and replace the anode rod, which works to prevent rust from forming, for any deterioration. If the rod is left unchecked, it will lead to rust forming on the inside of the tank, at which point the tank will need to be replaced.